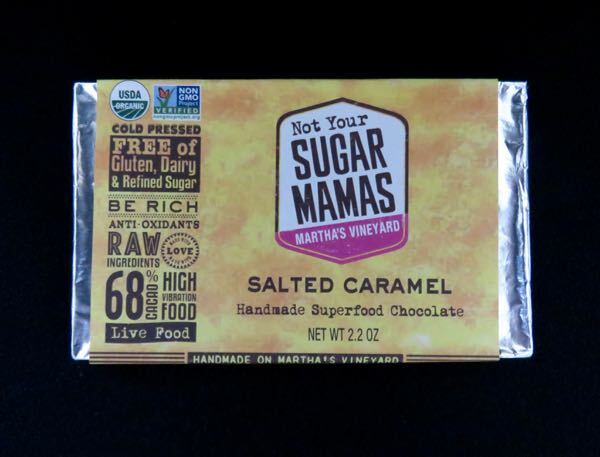 Today's Salted Caramel Handmade Superfood Chocolate Bar from Not Your Sugar Mamas (Vineyard Haven, MA) was, surprisingly, not made with cane sugar, or corn/glucose syrup. 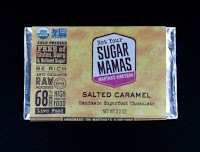 Instead, the Salted Caramel dark (68% cacao) bar's "caramel" center was made with organic coconut nectar and organic maple syrup; and the resulting bar had a darker, richer blend of chocolate and sweetener flavors. The caramel may not have had the opaque look and creaminess of dairy* and sugar-based caramel, but it was satisfying without a noticeable sugar buzz. A hint of vanilla and Himalayan sea salt helped evoke a traditional salted caramel tasting experience. Note: As with all chocolate, keep this bar in a cool, dark place. The maple syrup can get slightly crunchy around the edges. 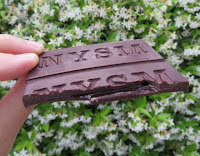 Not a bad thing in this case (it added some textural interest); but things can happen to chocolate if it's inadvertently exposed to higher or lower temperatures. 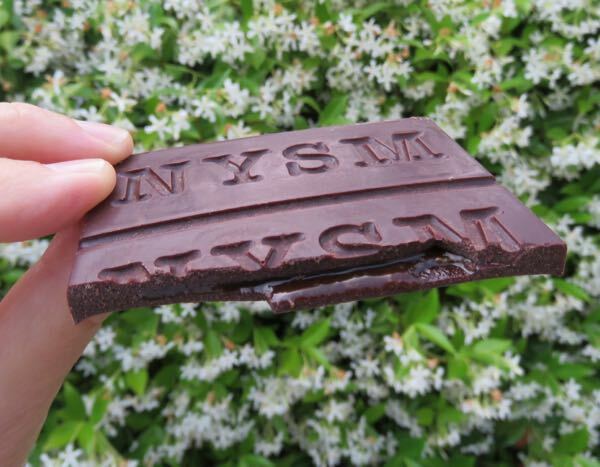 *The bar was made without dairy, gluten or refined sugar.